As you can see it really is bad so instead of guessing a time for the acrylic sheets I decided I would do this right so I made a simple dummy board for calibrating exposure time and also to check how small of traces I could make at which time interval. All you need to do is cover all of the “sections” only leaving one exposed, then after 1 time interval which in my case I used 1 minute, I uncovered another section. Rinse and repeat till all the sections are finished, I found my optimum time at 5 minutes. Beware even though the resist may look fine after developing there still may be a microscopic thin layer of resist still left. 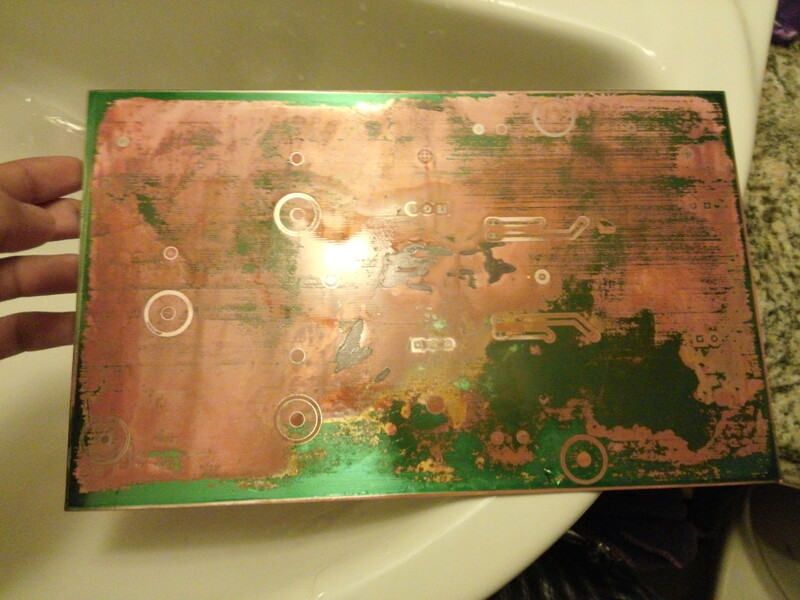 This happened at the 4 minute section where I first thought it was perfect only later to find out after etching that it didn’t etch so be careful about that. Here is a PDF of the calibration board, just print it and get testing!